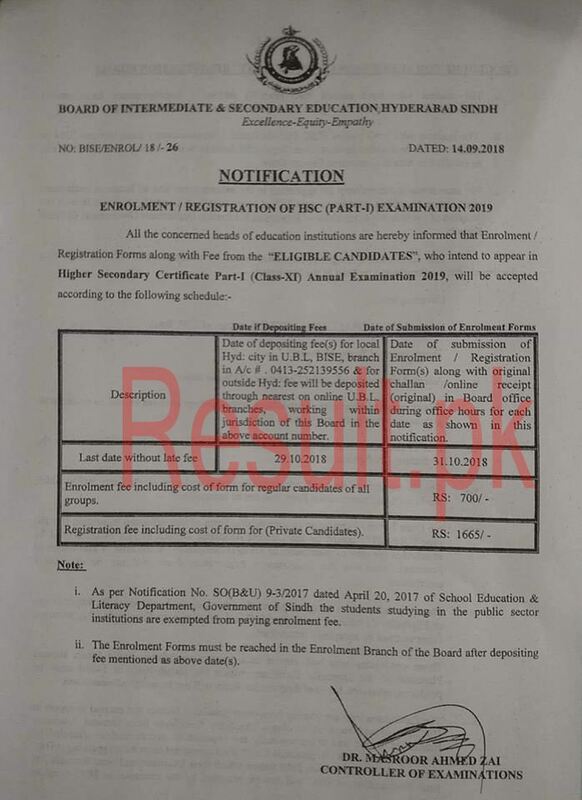 Board of Intermediate & Secondary Education Hyderabad has the authority to conduct annual and supply exams of matric and intermediate class in the district of Hyderabad and other nearby districts. Regular and private students from these districts appear in the SSC and HSSC annual exams every year under Hyderabad Board. Due to this reason, there are thousands of participants in these exams. 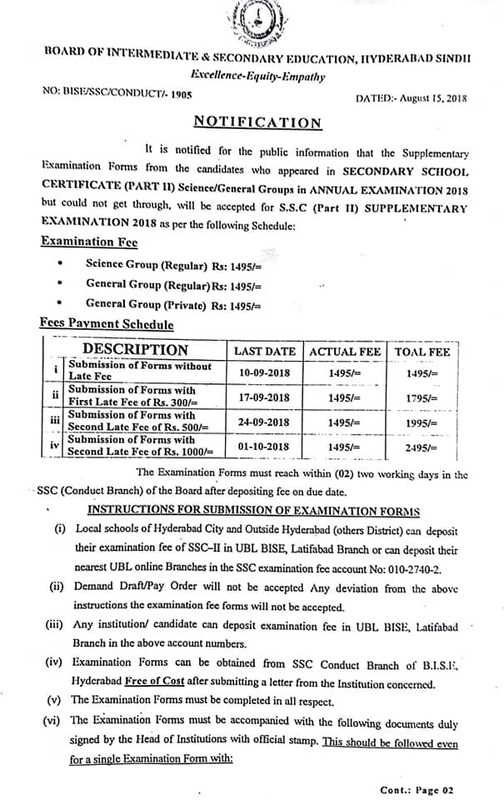 BISE Hyderabad organizes the SSC part 1 annual exams & SSC part 2 annual exams during the months of March and April while the HSSC part 1 annual exams and HSSC part 2 annual exams are held in May and June. Admission forms are available for the students few months before the start of the exams. The students have to deposit examination admission fee in the designated bank branches in time and then the completely filled admission forms will have to be submitted along with necessary documents and bank challan form. The students can submit the forms with single fee, late fee and double fee. BISE Hyderabad stops receiving admission forms one month before the start of the exams. Few days before the start of the exams, the board sends the roll number slips to the mentioned addresses of the students. The roll number slips contain the examination schedule, important instructions and examination venue of students and filling of admission forms completely and correctly along with important documents is necessary to get the roll number slips. Otherwise, the students have to resubmit the admission forms after removing the mistakes. 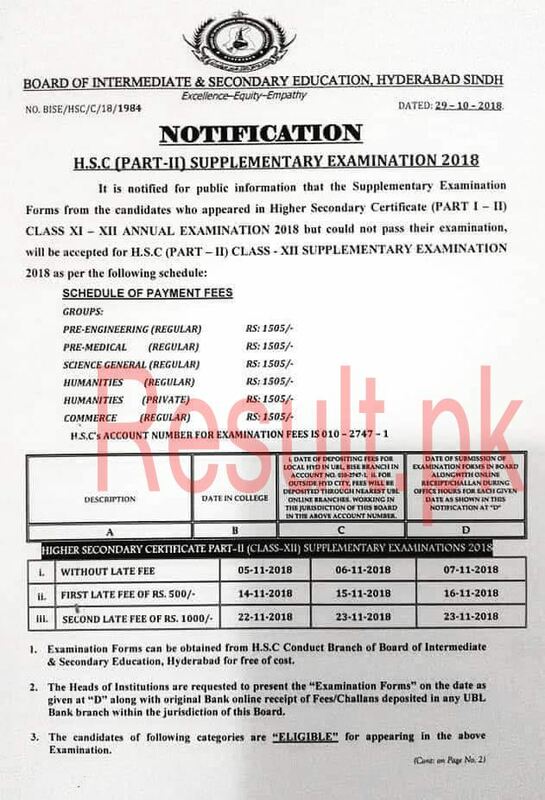 What is the last date of addmission of HSSC part 1 & single fee of private candidate of simple F.A? ?